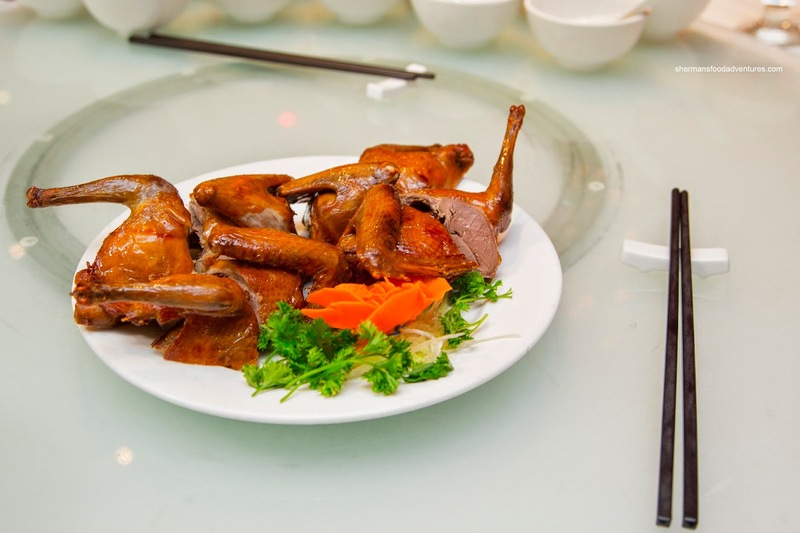 There was a time when Sun Sui Wah was one of the go-to places for Chinese food, in particular, their renowned Roasted Squab (young pigeon for those who don't know, and no, it's not the ones you find in Downtown...). However, that was in the 90's and since then many other worthy restaurants have burst onto the scene. Some would even argue that a good number of these places serve better versions of SSW's signature dish in addition to regular menu items. With this in mind, we decided to check out their dinner service for an update of sorts. To start things off, there was no doubt we'd have to get an order of Roasted Squab. These were deep-fried to an appealing rich golden hue. Lightly crispy with well-rendered skin, there was a sweet and smoky flavour. The meat itself was well-brined, yet surprisingly dry. However, it wasn't too salty where the natural squab gamy taste came through. It begs the question - is this still the best squab in town? Probably not, but that doesn't mean it wasn't good. 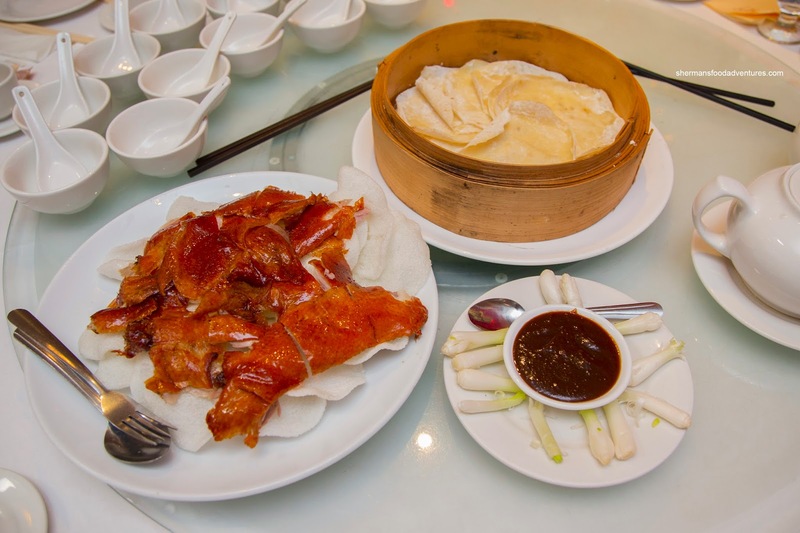 Next we continued with crispy fowl in the 2 courses of Peking Duck. Sadly, the skin was not crispy at all despite its attractive appearance. On the positive side, the fat was of a manageable quantity while the meat was moist and nicely seasoned. We thought the accompanying crepes were a bit dry. 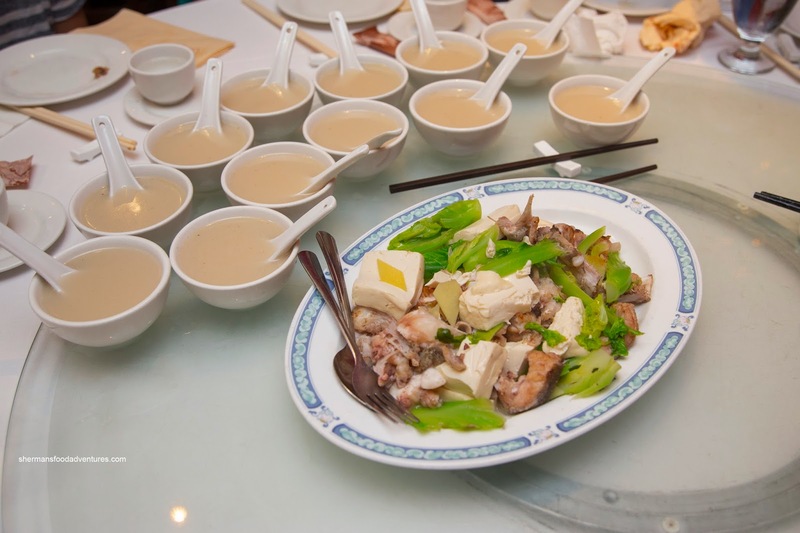 Continuing on the 2 course theme, we had the 2 courses of fish beginning with the Fish Soup with tofu and mustard greens. It was well-seasoned with plenty of fish essence but not in a fishy manner (if that makes sense), due to the nice deep-fry. The addition of ginger and white pepper helped in that sense as well as providing great depth-of-flavour. 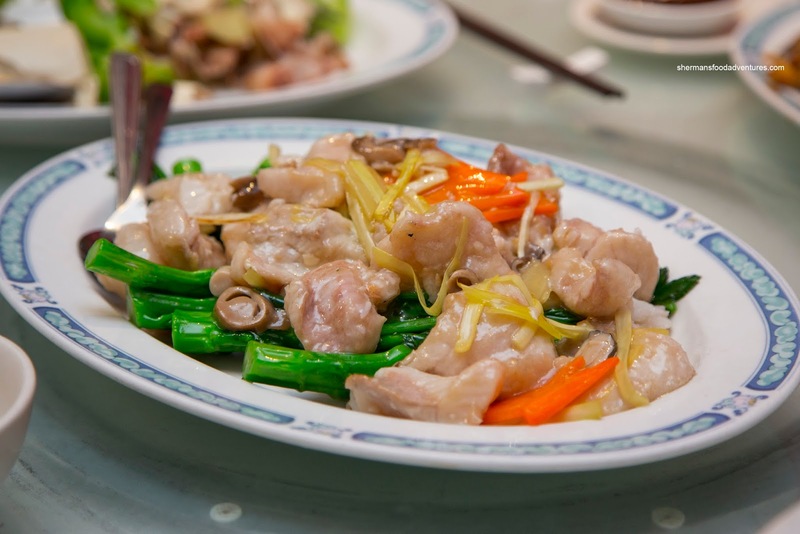 The other part of the fish course was Stir-Fried Fish with Yau Choy which featured buttery, flaky and moist fillets. The exterior was a touch gummy though (from the starch-coating for the quick oil-blanching). 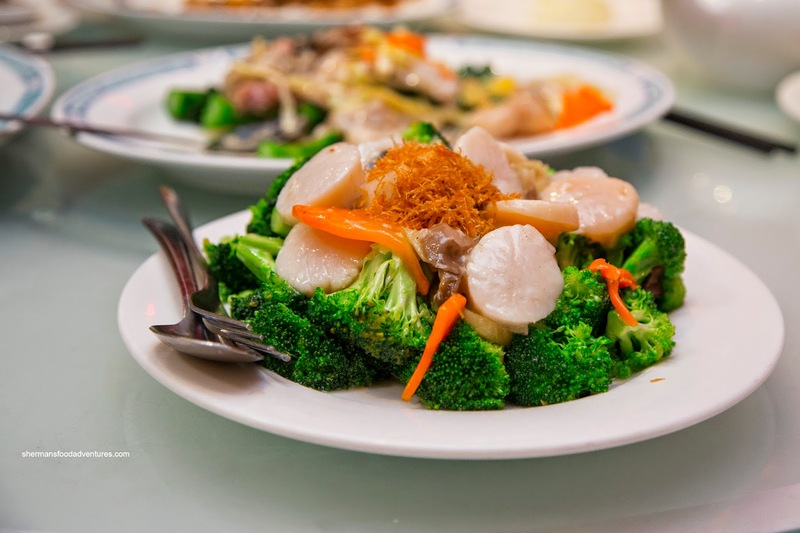 Vibrant in colour and crunchy in texture, the yau choy was a nice textural contrast to the soft fish. With a distinctive rice wine flavour and just enough seasoning, the dish was far from bland. 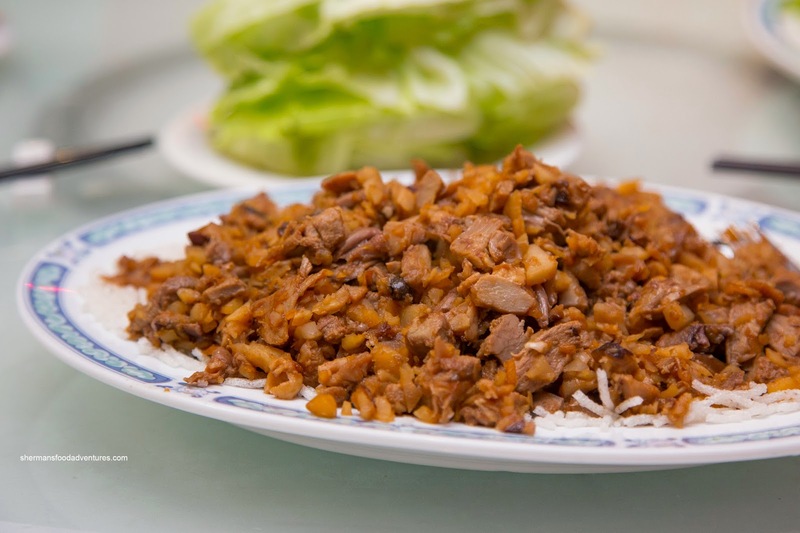 For our second course of Peking Duck, we had the Duck Lettuce Wrap which was the beneficiary of good wok heat where the flavours were caramelized. On the other hand, the result of this was the overcooking of the duck meat where it was ultimately dry and chewy. We did like the crunchy pickled turnip though as it added a certain liveliness to the dish. One minor complaint would be the really small lettuce cups as we could barely eat the wraps without something falling out. 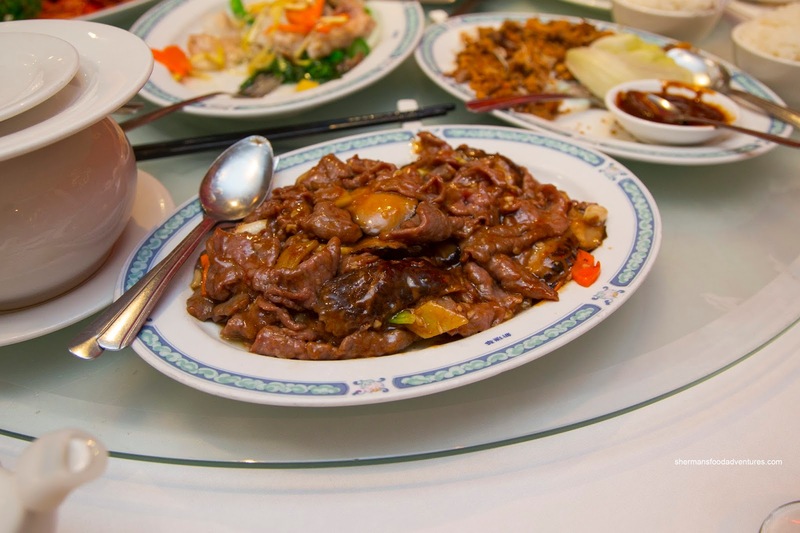 Moving onto other dishes, we had Beef with Oyster Sauce. One bite and yes, they were not shy with the salt (and/or oyster sauce). Tender with a some rebound, the beef was a tad greasy form the wok-fry. As a result, the flavours were caramelized though with a noticeable gingery hit. 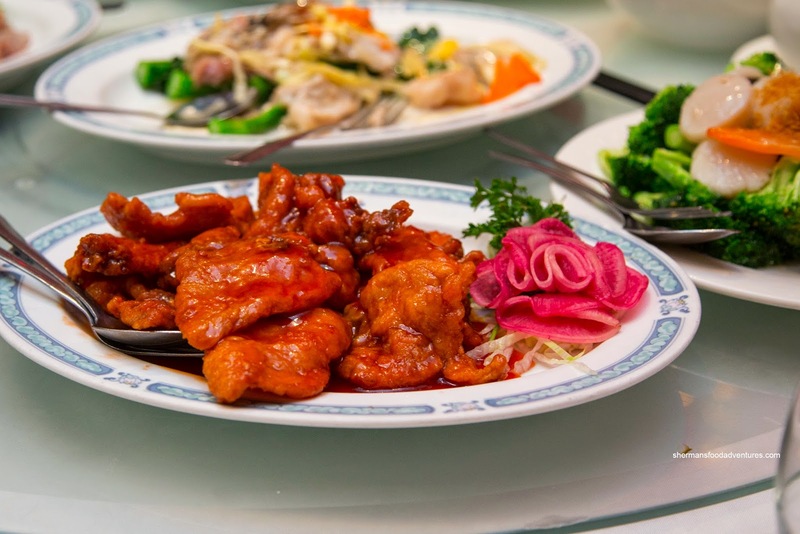 From beef to pork, we ended up with the Peking Pork Chops. This was partly because Costanza's oldest son loves this dish and probably could eat it all if he was allowed to. Sigh... I can only dream that my son could do the same. He'd rather have Kraft dinner over this... Anyways, we found the pork chops too thin which in turn led to them being dry (despite being properly marinated). As for the sauce, it was the right silky consistency and balanced in flavour (equal tart and sweet). 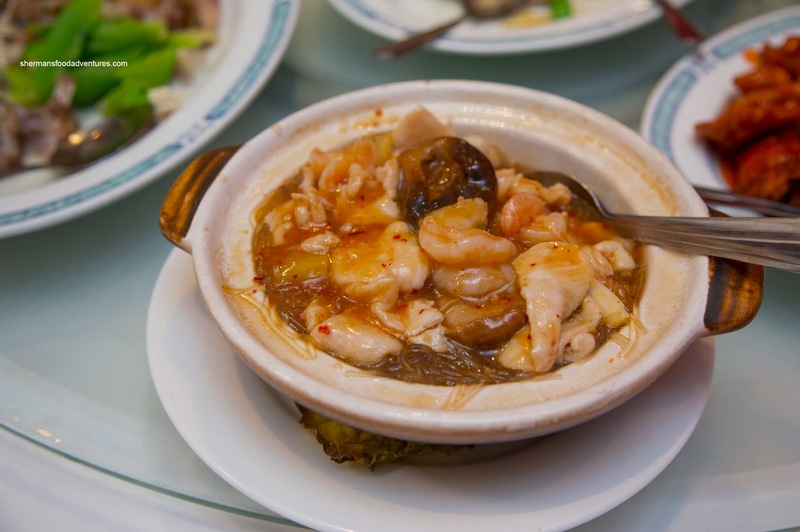 To change it up a bit, we tried the Szechuan Shrimp & Chicken Vermicelli Hot Pot. With an abundance of liquid, the vermicelli was far too soft where it dissolved pretty much on contact. However, the flavours were impactful with a noticeable lingering spice. We thought the proteins were on point with succulent chicken and shrimp with snap. Our last 2 dishes satisfied the obligatory vegetable intake for the meal. First, we had the Sauteed Scallops with Broccoli. Buttery and soft while still retaining a mild chew, the scallops were wok-fried expertly. They were naturally sweet while being well-seasoned (yet not salty). As for the broccoli, it was crunchy and vibrant with only a mild amount of seasoning. Second, we had the Braised Tofu with Shanghai Bak Choy. 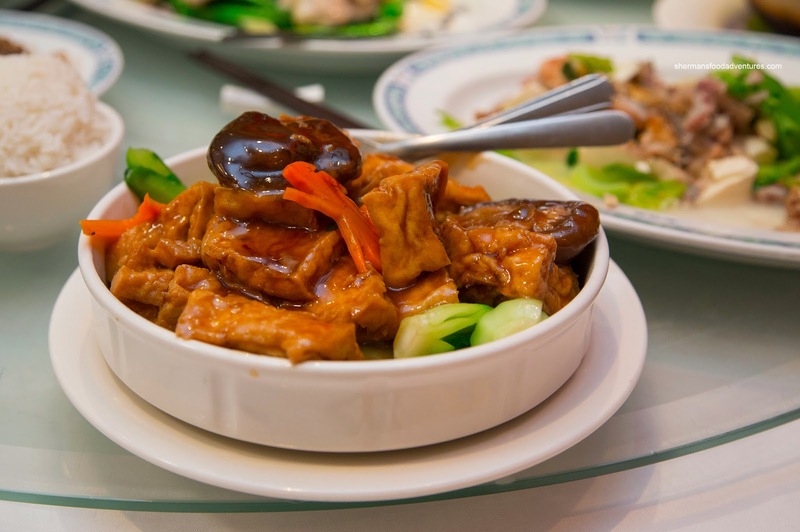 Although shriveled in appearance, the tofu was still silky inside. Combined with the plump shiitake mushrooms and crunchy bak choy, this was texturally on point. The watered-down and starch-thickened oyster-based sauce was salty enough to counteract the moisture from the bak choy. So with our meal over, we discussed whether SSW has still got it or not. 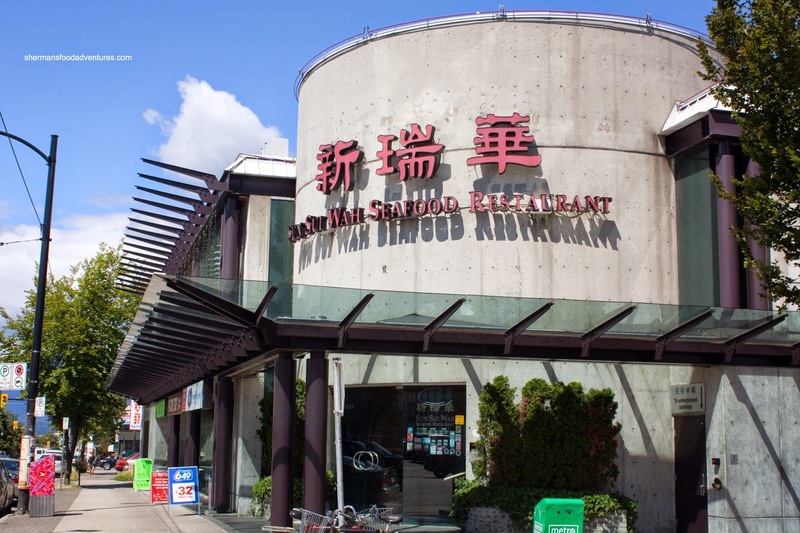 We agreed that the dinner was solid, yet not any better than many of the other Chinese restaurants in town. Considering the price point, SSW should no longer be at the top of the list.